Explore the spectacular landscape of one of Alberta Parks’ crown jewels – the majestic Kananaskis Country. Only a half hour west of Calgary, this 4,200 square kilometre recreation area quickly became a cherished location for Albertans to spend time with friends and family, to hike, ride, and be active on the eastern slopes of the central Rockies year-round. Since then, and especially after the `88 Olympics, it has grown into a place where people from around the world come to enjoy wildland recreation – a place to renew one’s spirit and reconnect with wilderness. On September 22nd, 1978, Premier Peter Lougheed officially dedicated Kananaskis Country and Kananaskis Provincial Park (now Peter Lougheed Provincial Park), as a place where all visitors could enjoy outdoor recreation. More than fifty percent of Kananaskis Country is included in Alberta’s Parks and Protected Areas program. The rest of Kananaskis Country is managed as a multiple use area where forestry, cattle grazing, and petroleum industries work hand-in-hand with those involved in recreation. 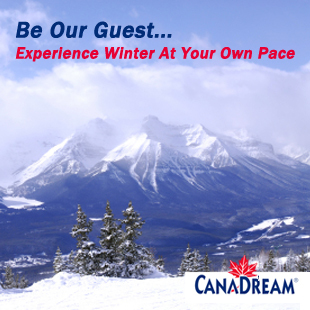 The Kananaskis region includes Kananaskis Country as well as Fish Creek and Glenbow Ranch provincial parks, which all provide Albertans with opportunities to connect with nature, be active, have fun, and relax. The name Kananaskis was chosen 155 years ago to name the lakes, valley, and river visited by Captain John Palliser on his expedition through the area. The name comes from the Cree ‘Kin-e-a-kis’ and is said to be the name of a warrior who survived an axe blow to the head. Archaeological evidence of human use of Kananaskis Country goes back over 8000 years, and the Stoney-Nakoda, Siksika, Blood, and Kootenai First Nations all have deep connection to this land. Kananaskis Country was first identified as a special place worthy of being preserved, more than a century ago. As early as 1902, parts of Kananaskis Country were included in the Rocky Mountain National Park (now Banff National Park), but they were removed in 1911 and eventually turned over to the Alberta Government in 1930. Bow Valley and Bragg Creek Provincial Parks were created in 1959 and 1960 and remain popular places to visit in Kananaskis Country. In 1972, the Alberta Wilderness Association proposed a wilderness area west of Calgary in the Elbow, Sheep, and Kananaskis Valleys. And that same year the Environment Conservation Authority identified a need to set aside this area to protect watersheds and to provide resource development, tourism and recreation opportunities. The actual mountains were formed over the past 200 million years as tectonic plates forced layers of rock to pile, break, and fold into mountains. The rock itself, mainly limestone, comes from layers of fossilized sea creatures that lived hundreds of millions of years ago in an inland sea that once covered southern Alberta. The evidence is seen in ancient coral reefs, oyster beds, and shark teeth throughout Kananaskis Country. The jagged peaks and u-shaped valleys throughout Kananaskis Country are 12,000 year-old reminders of the last ice age, revealed as kilometre-thick, million-year old glaciers melted to mere remnants. When you visit the area today, you can anticipate comfortable facilities, such as the William Watson Lodge and the Canmore Nordic Centre, vibrant education and interpretive programs, and a continued commitment to public safety and wildlife management. The friendly and knowledgeable staff within the Visitor Information Centres located throughout Kananaskis Country can provide you with current information about trails, activities, and special events. 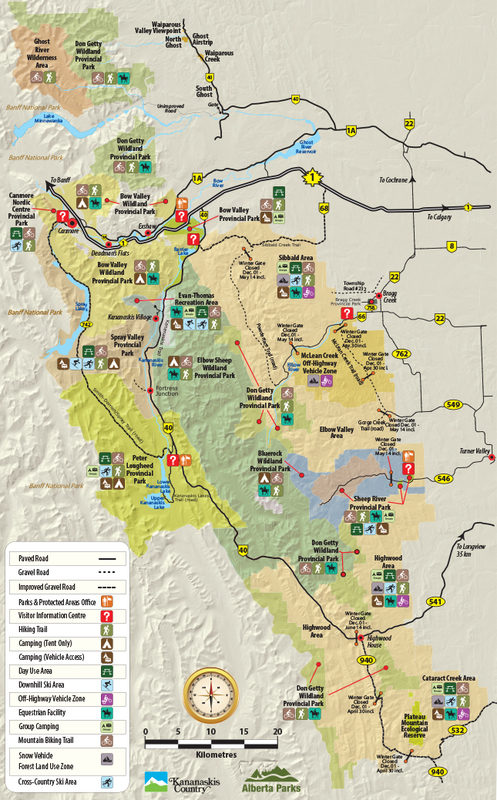 For now, why not check out our map of the area and the Mobile Edition of our sister publication, Experience Kananaskis Country and the Cowboy Trail.